Plobal Apps provides a do-it-yourself mobile application platform for ecommerce merchants. 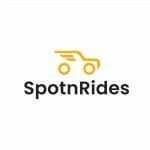 SportnRides offers a ready-to-use taxi app script for booking and dispatching operations. Knowband provides ecommerce plugin design and development. SemiDot InfoTech Pvt. Ltd. provides custom web and mobile application design and development.